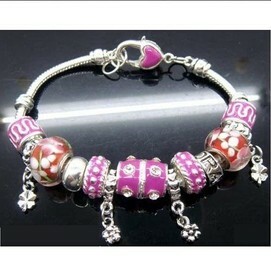 Here is a brand new lovely style bracelet comes with lovely charms; safety chain set. All beads are white gold or silver coated. It is really beautiful to wear. The bracelet length is 20cm. This could be a lovely gift, or keep it for yourself!